It is said that the Holy Site on which the Ancient Divine House was built is the centre of the earth and is the place from which the earth was extended to a wider expanse. In his book entitled `Al-Maslak Al-Mutaqasit fi Al-Mansak Al-Mutawasit', Mulla Ali Qari mentioned the glorification of the Holy Site, quoting Mujahid (may his soul rest in peace) who was the chief interpreter of the Holy Qur'an. 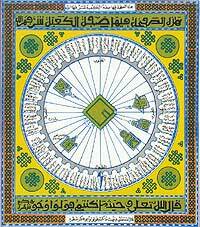 The Attributes of the Holy Ka'bah Glorified by Allah, the Supreme. Miller : Arabic Maps (Vol.. V, Pages 154-155). 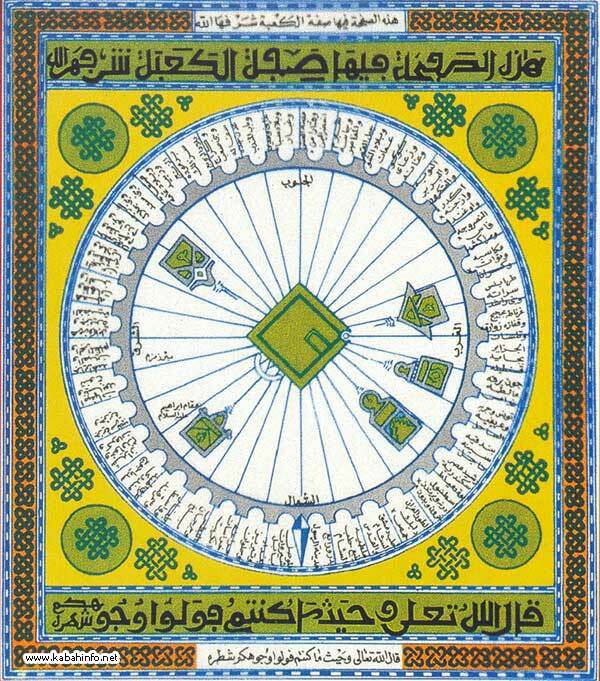 The Position of the Islamic Coutries with Respect to Makkah Al-Mukarram by Al-Safaqsi 958 H./1551 AD.